Located in central Sevenoaks, this space is surrounded by a number of eateries and places to enjoy a drink, including Pizza Express, the Oak Tavern & Tap House and Marco Sevenoaks. 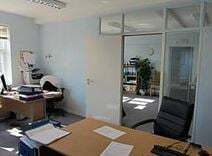 The space itself is well equipped, offering CCTV, kitchen facilities, super-fast broadband, office cleaning, printing and copying facilities and an on-site management tea. The space can be accessed by tenants 24-hours a day. 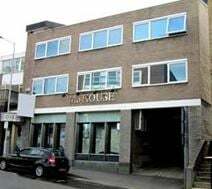 Located on the corner of the High Street and Pembroke Road, in the commercial centre of the town, this office space is available now on flexible terms. A range of features is offered, including kitchenette, toilets, shared entrance and central heating. 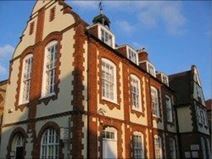 Fully furnished offices in a range of sizes are available at this distinctive Victorian property in central Sevenoaks. There is a staffed reception, and meeting rooms and secretarial services are available. Located within walking distance of Sevenoaks station, and with easy access to the M25. Serviced office suites available with on-site parking, and free public parking in the vicinity. 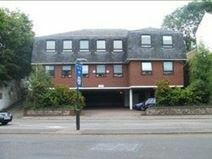 Situated within walking distance of Sevenoaks town centre and rail station, serving several London terminals. Adjacent to the A25, a short direct route to the junction 5 interchange between the M25 and M26. Situated in central Sevenoaks, a short drive from the train station, this centre is easily accessible from the M26 and the national motorway network. This is a four-storey building offering flexible office accommodation available now.